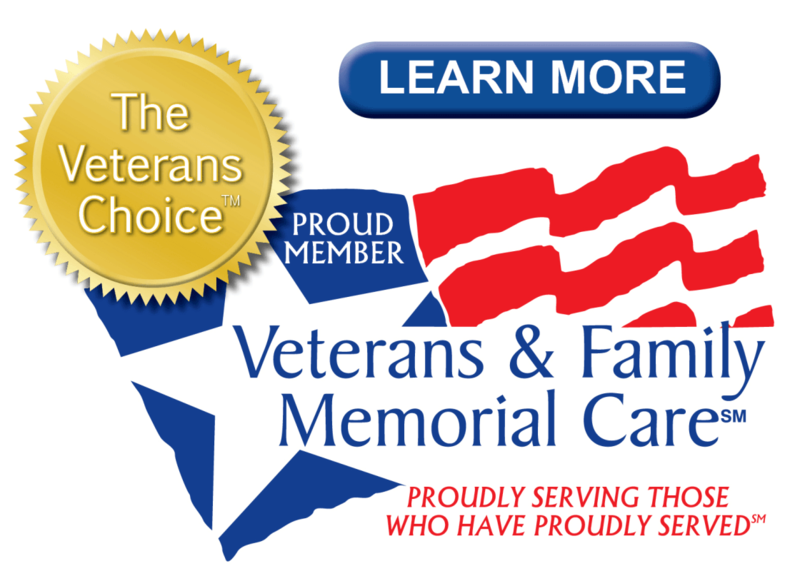 Holloway Funeral Home is a proud member of the Veterans & Family Memorial Care funeral home provider network. We focus on providing the ultimate care for our brave veterans and their family members in planning for funeral services. We are one of the leading providers that specialize in arranging and directing funeral home services for veterans or a veteran's family member. We have over 30 years of experience in helping veterans and their family members. It is our goal to help you plan funeral services and ensure that you receive all of the assistance available to you and your family. Planning for a funeral service is a difficult situation for anyone. Holloway Funeral Home will be there for you every step of the way. Any deceased veteran of peacetime service orwartime is eligible to receive free burial services at any VA national cemetery unless you were discharged under dishonorable conditions. Spouses of veterans are also eligible, and dependents may also qualify if they pass away before the veteran. Safety Harbor VA Burial Benefits allows you to have the choice between casket or cremation services. If you have any questions, our staff will help you and ensure that you receive everything that you need according to your wishes and budget. We strive to provide the best services available during this difficult time. Veterans have the option to be buried in a private cemetery of their own choosing. This may allow them to receive a government headstone, medallion, marker, Presidential Memorial Certificate, and a burial flag at no additional costs. Veterans may also be eligible for burial allowances, depending on the circumstances. However, spouses and dependents buried in a private cemetery are not qualified for any of these additional benefits. Veterans are also able to work with Holloway Funeral Home in developing a prepaid funeral plan. They can determine their eligibility by using the Pre-Need Determination of Eligibility Program. Once their eligibility is confirmed, these veterans can begin to plan their funeral with our guided assistance to ensure that we meet all of your needs and wishes. Prepaid funeral plans are highly beneficial for the family of veterans, as it relieves them of any financial burden or uncertainties regarding a funeral service. You can contact Holloway Funeral Home at anytime for additional information on Safety Harbor VA Burial Benefits. We strive to offer the best support available for veterans and the family members of these veterans. We have over 30 years of experience in planning for funeral services and coordinating Safety Harbor VA Burial Benefits for many veterans. We will walk you through each step of the process to ensure that every thing operates smoothly during this difficult time. Our goal is to help plan funeral services for veterans to ensure that everything is taken care of. Feel free to contact us today to let us help you plan for a funeral and understand what is provided with Safety Harbor VA Burial Benefits.